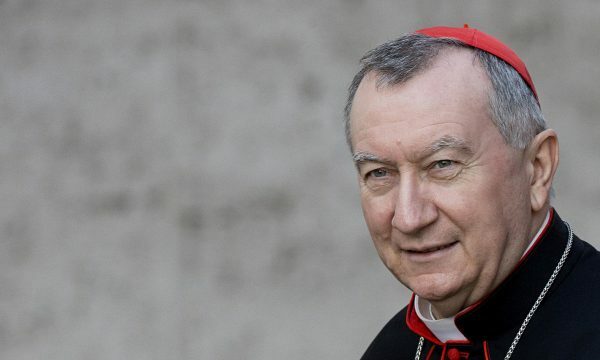 Moscow, August 17, Interfax - The possibility of a visit to Russia by Pope Francis will not be raised during Vatican Secretary of State Cardinal Pietro Parolin's visit to Moscow on August 21-23, as it is premature to discuss this issue at this point, Priest Igor Kovalevsky, secretary-general of the conference of Catholic bishops of Russia, said. “The cardinal himself has stressed that this problem will not be discussed,” Kovalevsky said at a press conference on Thursday. Kovalevsky said he personally believes that Russia is not yet ready to receive the pontiff. “I personally would not support this visit because our society is not yet ready to receive the pope. And there is no need to rush things,” he said. “Perhaps it could be a meeting in a third country. Perhaps these meetings may continue. Most likely, it will be like this. But I think it is premature to say that the patriarch could visit the Vatican and the pope could come to Moscow tomorrow,” he said. The Russian Orthodox Church and Russian society need to prepare for that first, the priest said. “We should be good hosts in order to receive such a distinguished guest,” Kovalevsky said. For his part, Father Stefan (Igumnov), secretary for inter-Christian relations of the Moscow Patriarchate’s Department for External Church Relations, recalled Parolin’s recent interview in which the Vatican official said that discussions on the possibility of the pope’s visit to Russia were not on the agenda of his Moscow trip.